The aim of this study was to investigate the plaques at the left coronary artery (LCA) and their effect on the haemodynamic and wall shear stress (WSS) in realistic patient models. Three sample patients with left coronary disease were selected based on CT data. The plaques were present at the left anterior descending and left circumflex branches with more than 50 % lumen narrowing. 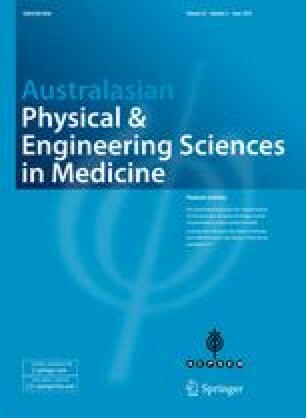 Computational fluid dynamics analysis was used to perform simulation of patient-specific models with realistic physiological conditions that demonstrate in vivo cardiac flow. WSS and blood flow in the LCA were measured during cardiac cycles. Our results showed that WSS was found to increase at the stenotic locations and decrease at pre- and post-plaque locations, whilst the recirculation location was found at post-plaque regions. There is a strong correlation between coronary bifurcation plaques and hemodynamic and WSS changes, based on the realistic coronary disease models.